Funeral company "InterSpetsServis" was founded in 2000. The main activity of the company is the transportation of human remains to all towns in Russia and abroad. The experienced staff of our company will do all the paperwork for sending the body of the deceased person to another city or country and, if possible, help the client to find the most economical shipping option. The specially trained team will address all travel-related issues that may arise during air transportation and customs clearance of human remains and cremated remains at Pulkovo airport cargo terminal. 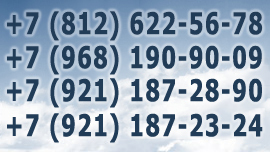 To contact an agent at the airport dial: +7 (921) 186-07-11. To make the transportation of such very sensitive cargo be carried out in the shortest possible time we own a fleet of specially equipped funeral vehicles. "InterSpetsServis" offers a wide range of coffins of various designs. 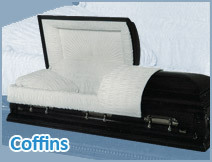 It is possible to make custom-made coffins upon request. "InterSpetsServis" cooperates with all insurance companies, medical clinics and consulates. Our specialists will also help to organize the returning of the human remains from outside of Russia. We are able to offer the exhumation of the human remains.